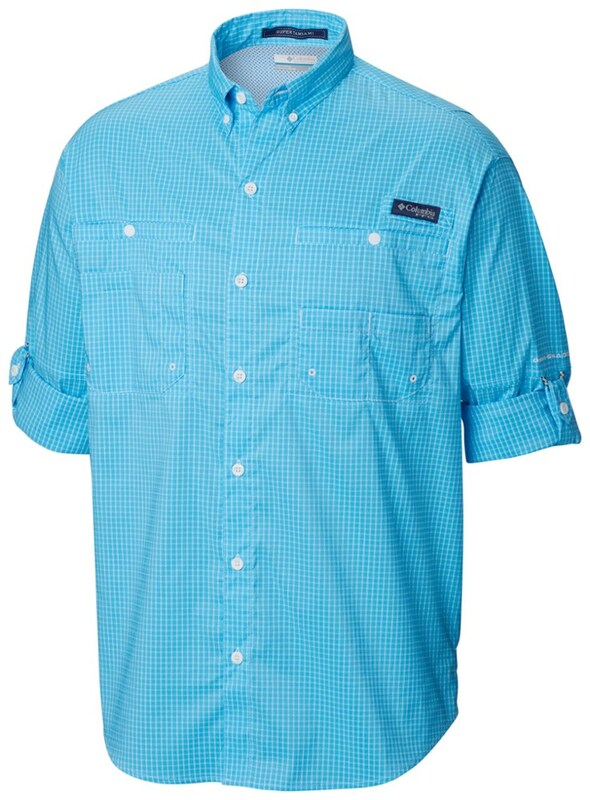 This would be a good shirt for travelling (really ideal, if they dispensed with the embroidered brand logos on the chest and sleeve), and fine for a day of light hiking or fishing, but not for repeated vigorous use, or a backpacking trip. This is the first specially-intended-for-outdoorsy-pursuits shirt I have ever purchased, and I did so want to love it, and for it to be a real improvement on what I usually wear to hike or camp (my husband's permanent press "dress" shirts that have gotten too ratty to wear to work)—but it's not. It would, I think, be a very good travelling shirt, as long as you weren't going anywhere so formal that the logo would be a problem, and this seems to be what its "secret pocket" is best suited for. It washes well, doesn't seem to hold stains (and mine is a color that doesn't show the dirt anyway) and dries quickly. But it smells lived in after a day—and not a hot, dirty day, either. I can't (or rather I CAN) imagine what it'd be like after a few days camping, even if it were rinsed/washed on a daily basis. Fit & Comfort: I am 5'8" and weigh at my plumpest about 160 lbs., with a slightly mannish build relatively broad shoulders, not much of a bust, and very long arms—usually my issue with shirts is that the sleeves are too short. In a shirt that fit over the shoulders (size large), the sleeves are a bit too long, and the cuffs so big around that I moved the buttons to keep them from flapping down over my hands. It does fit nicely over my shoulders—good arm movement—and through the body. Adjustability: The sleeves can be rolled and held up with a tab, though I have never really had much difficulty just rolling up regular sleeves. There is only one button at the cuff, which as stated above, I moved. Some shirts have two, to adjust the diameter of the wrist opening, which might have solved this problem. Breathability: Fair. 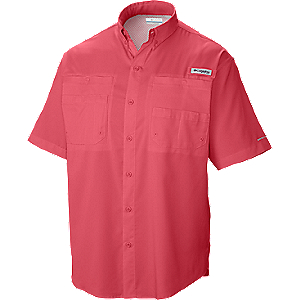 There is a mesh panel over inside the upper back and across the shoulders, and the yoke of the shirt is not sewn down at the sides, allowing air to circulate under it. The material of the shirt is quite heavy, though, and synthetic. It is not quite "clammy" but it is no real improvement over a standard lightweight poly-cotton blend shirt (my usual hiking wear). 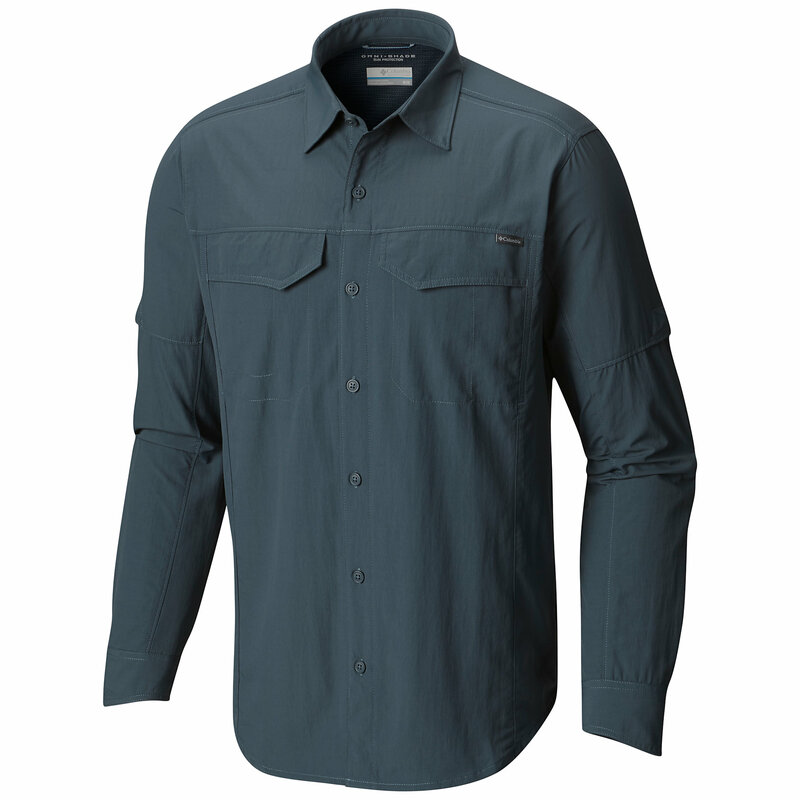 Moisture: It's supposed to control moisture, and it does so better than an all cotton shirt or a jersey knit (like a t-shirt or one of the new wicking t-shirts); but not, as stated above, any better than just a shirt. Warmth: It is comfortable in "shirt-sleeve weather." No magic bullet in the heat and humidity, though, and maybe hotter-feeling than a regular shirt in a dry heat. Layering: It fits as a normal shirt. Over a t-shirt or thermal undershirt, or under a sweater or fleece. Abrasion: The material is rather "soft," and I wondered if it would snag or pill, but it hasn't. Features, and Ease of Use: The only pocket it has is a mesh pocket accessed via the "princess seam" shaping the body, just under the ribs. It would be a reasonable place to put a little folding money, cards, etc., but nothing with any weight, or the shirt would hang oddly if untucked. (I also have my doubts as to the long-term durability of the mesh.) It is possible to tuck the shirt in with something in there, but it feels a little odd, and makes the pocket inaccessible. Under a pack with a hip belt, it is not comfortable. Construction & Durability: The quality of the sewing is good, and, as noted above, the fabric has worn well. Conditions: Both western high altitude (Utah) and eastern hot and humid (New York). I have worn the shirt occasionally for about a year, for hikes and casual wear, in both New York State and Utah. Thanks for the review, MHW. 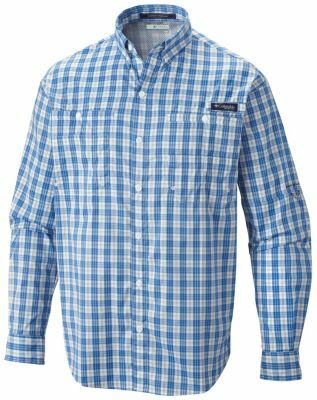 Are you considering a new long-sleeve sun/hiking shirt? Absolutely the best shirt for hiking, camping,or just to wear. I own lots of vented and SPF shirts as I have to really be careful in the sun. This shirt even feels great! 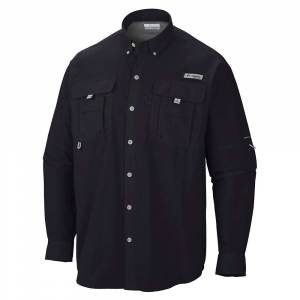 The Omni-Dry Tamiami Long Sleeve Shirt has been discontinued. 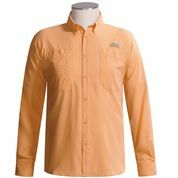 It was replaced by the Columbia Tamiami II Long Sleeve Shirt. 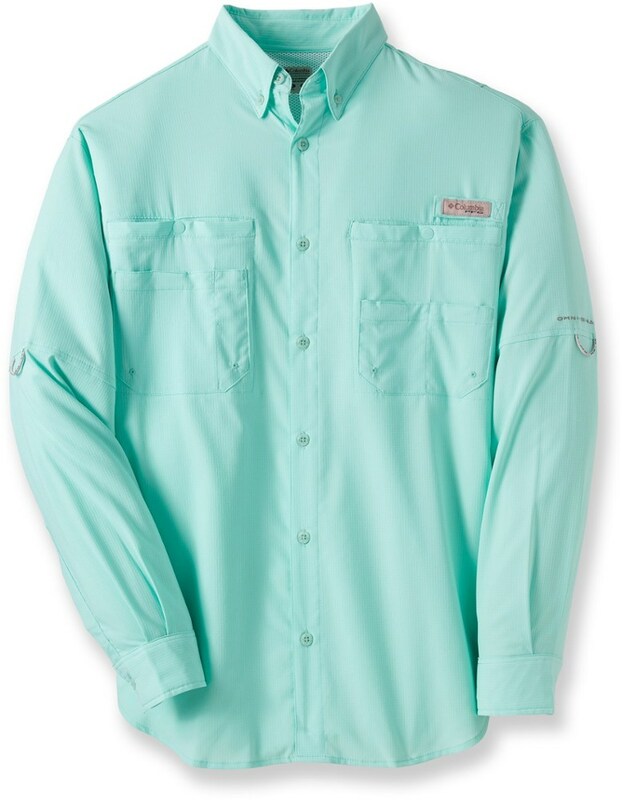 The Columbia Omni-Dry Tamiami Long Sleeve Shirt is not available from the stores we monitor. It was last seen March 26, 2010	at Campmor.